The scenic coastal line between Carlisle & Barrow-in-Furness is a popular choice for heritage locomotive excursions. There are dramatic views of the Irish Sea Coast & Western Lake District Fells. 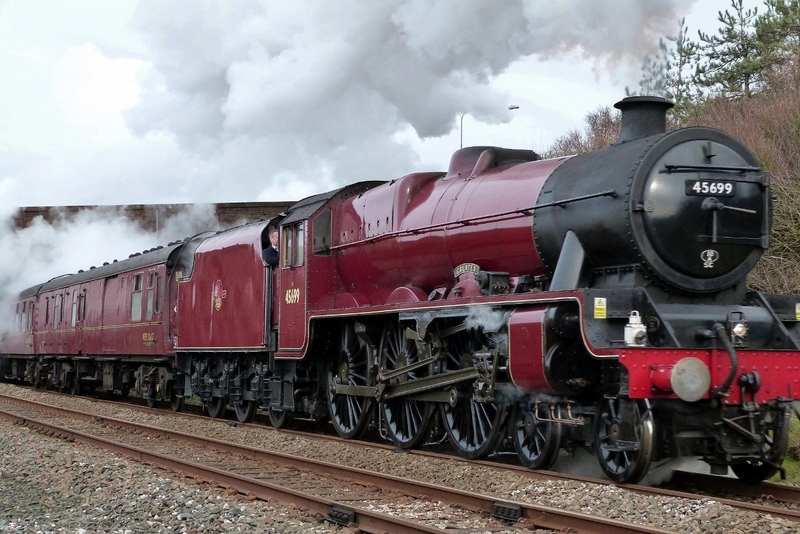 The starting point is usually London Euston or a northern city. 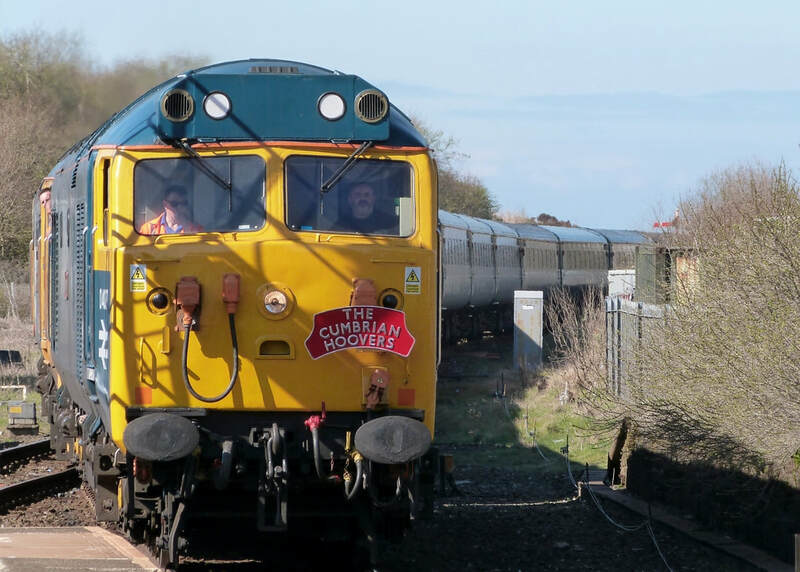 Diesel electric power is often used as far as Carnforth. 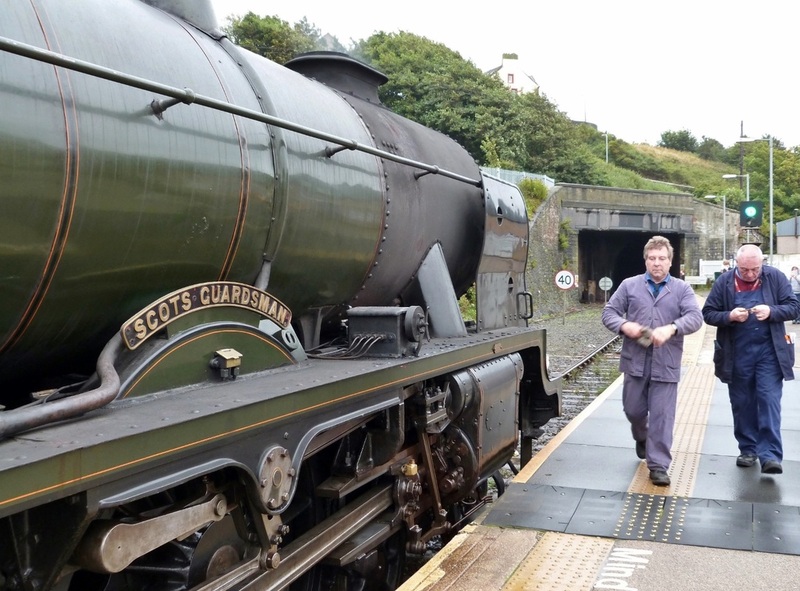 Here there's the opportunity to add a preserved steam locomotive for the remainder of the journey to Carlisle. 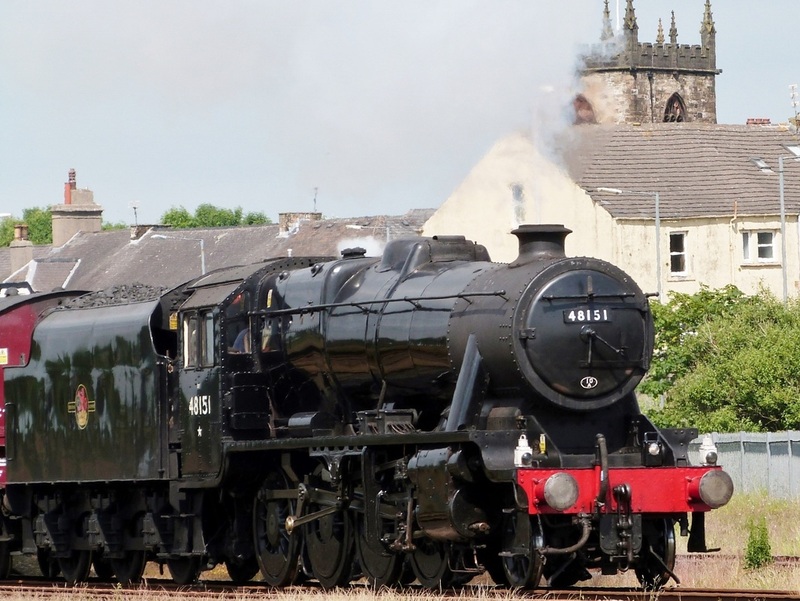 There is a choice of route for the onward journey, either west coast mainline via Shap and Settle to Carlisle via Ribblehead Viaduct or via the Cumbrian Coast. At Carlisle, passengers have time for sightseeing while the locomotive is turned & made ready for the return journey. 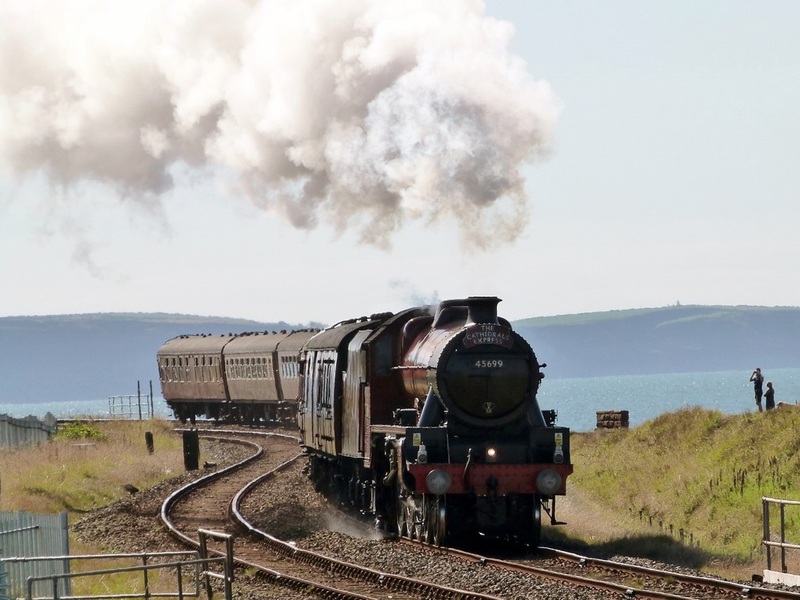 Passage along the coastal route can be either north- or southbound. The heritage loco made a brief stop at Whitehaven to gain clearance to enter the single-tracked Brantsy Tunnel. 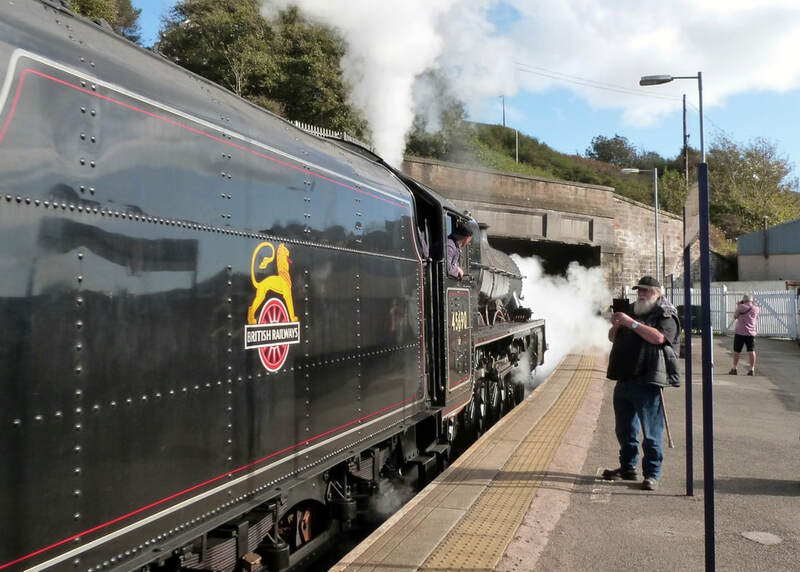 This was the final steam-hauled Cumbrian Coast excursion of the 2018 season. 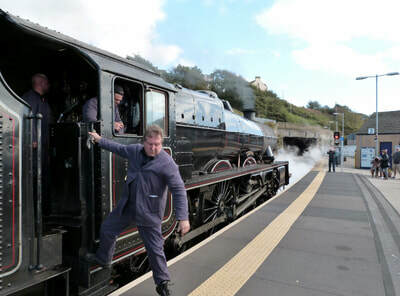 The immaculately preserved loco arrived a few minutes early giving the crew ample time to phone ahead to the signal box. 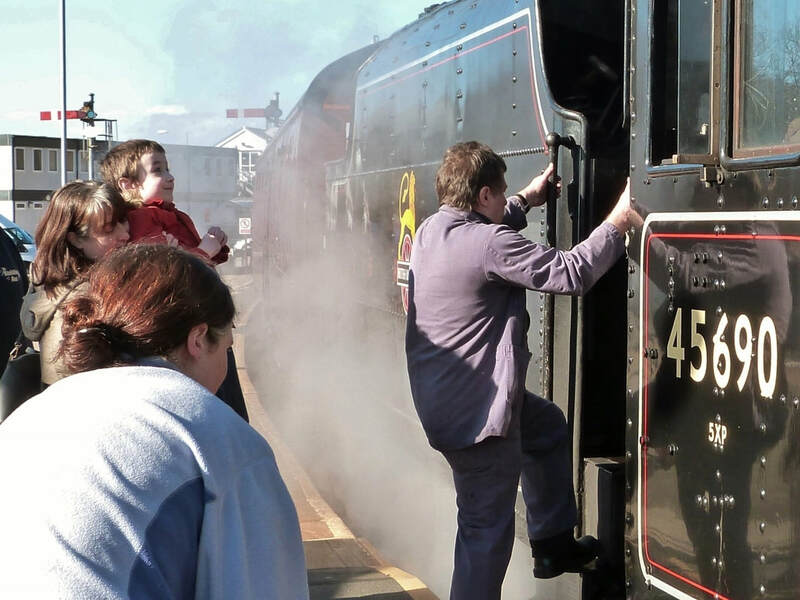 One lucky youngster took the opportunity to climb on board the footplate. 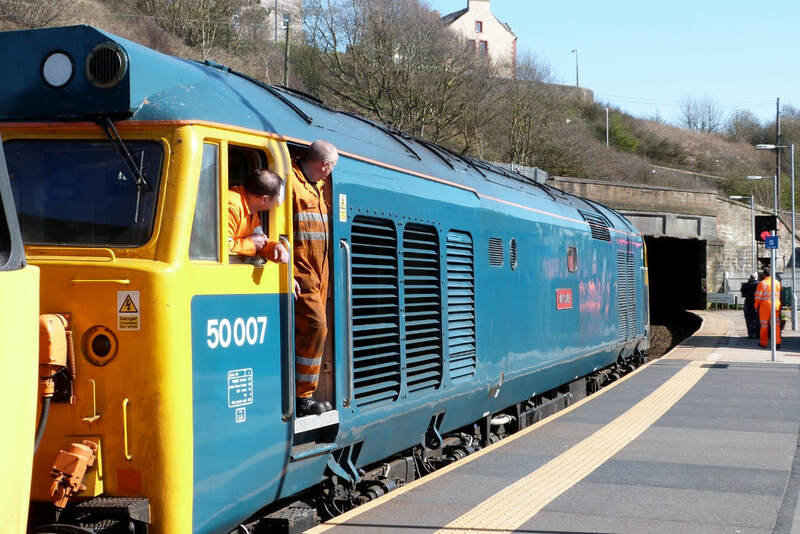 A pair of Class 50's pull into Whitehaven on the return leg of a Birmingham to Carlisle excursion celebrating 50years of the Class. 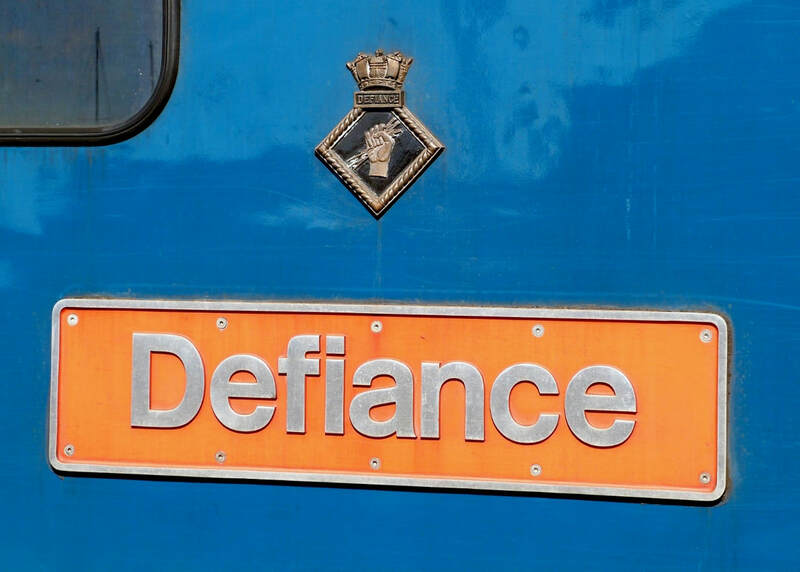 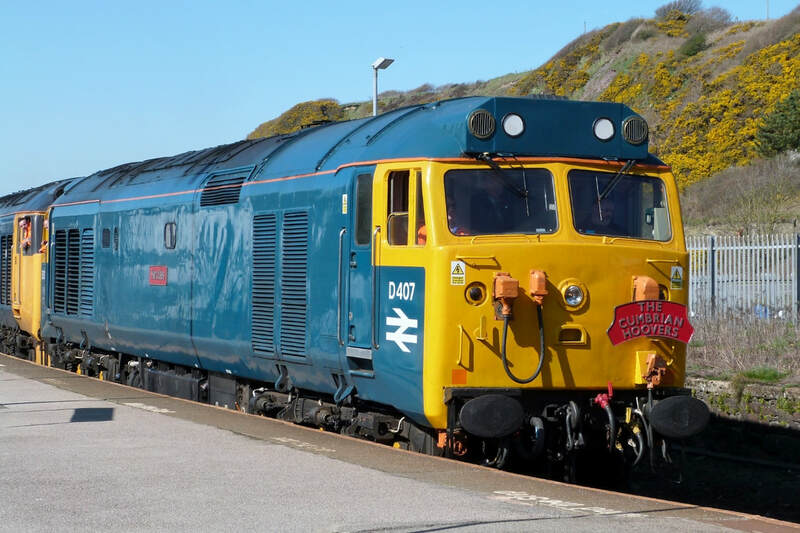 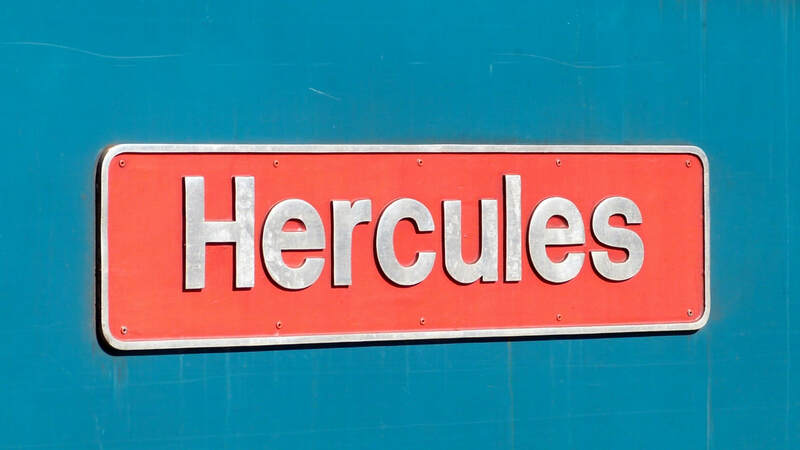 ​A rare visit to the West Cumbrian line of two Class 50 diesel locomotives, 50007 'Hercules' & 50049 'Defiance' operated by the 'Class 50 Alliance'. The 13-coach 'Cumbrian Hoover' excursion organised by 'Pathfinder Tours' was fully subscribed. 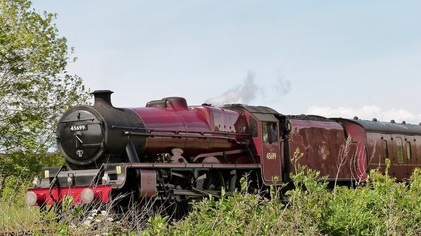 The locomotives were built in 1968 for use on the West Coast main line north of Crewe. 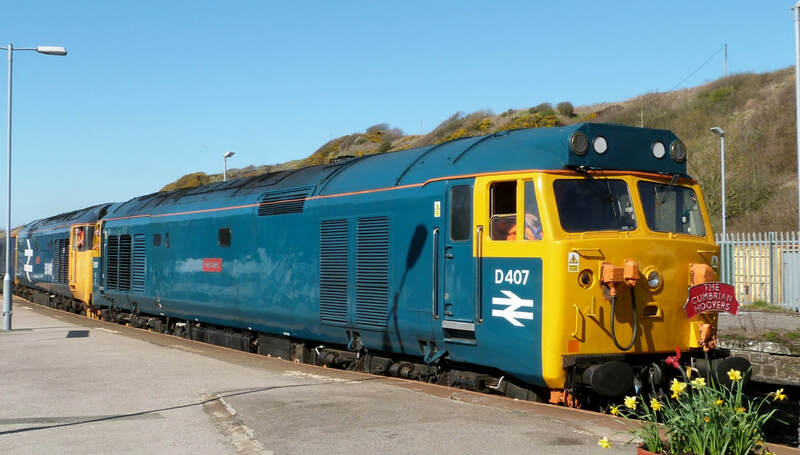 Equipped with powerful 'English Electric' power units they were nicknamed 'Hoovers' by enthusiasts. 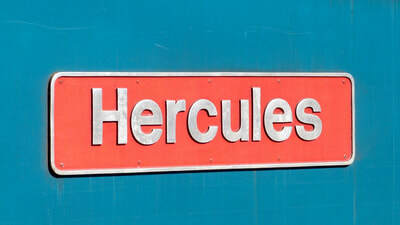 They worked this line until electrification in 1974 when they were transferred to the Western Region. 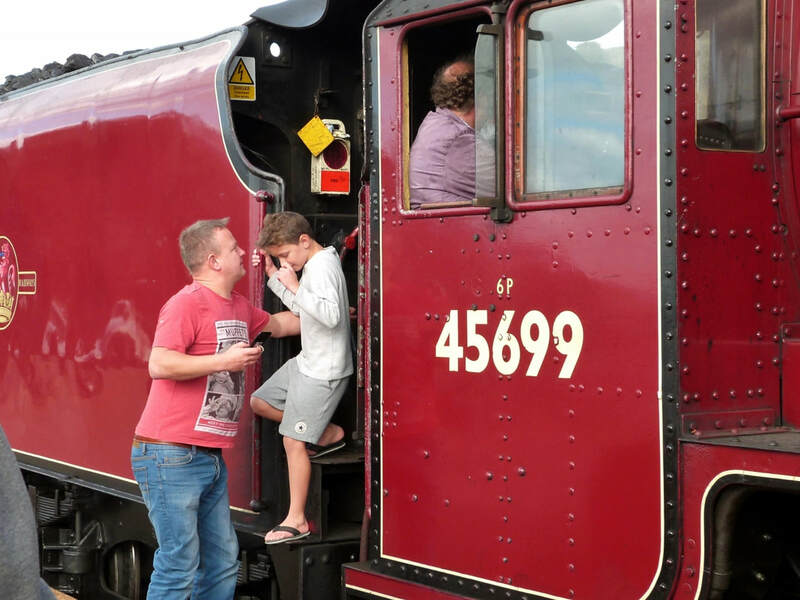 A two minute halt was sufficient time for the crew to phone for permission to proceed through the single-tracked Brantsy-Corkickle tunnel. LEANDER makes a brief ​halt at Whitehaven Station on the return leg of the Cumbrian Coast Express from London Euston to Carlisle. 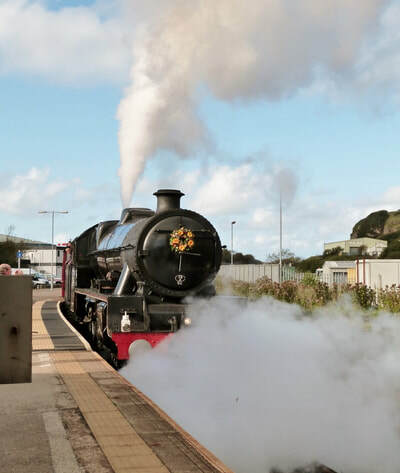 It's the first steam excursion of the year on the coastal route. Passengers couldn't have chosen a better day for clear coastal & inland panoramas. 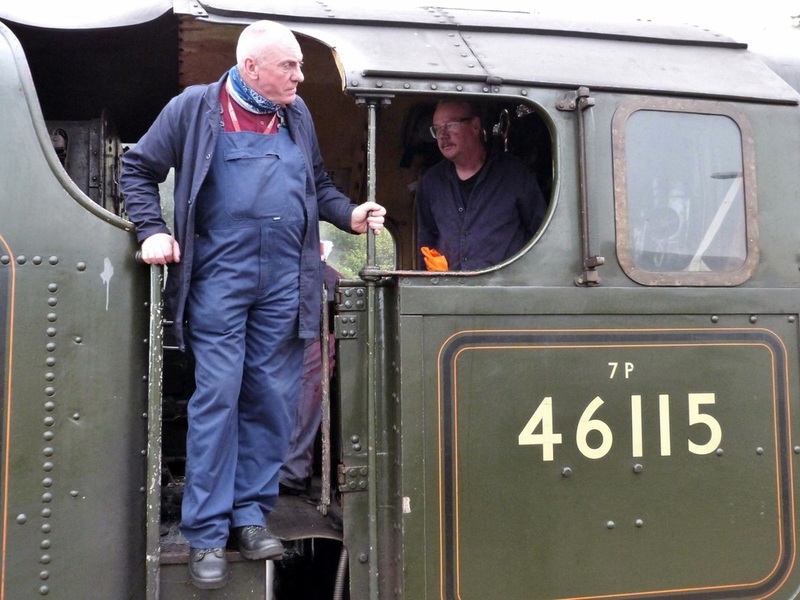 A crewman phones ahead to obtain permission to proceed through the single-tracked Brantsy-Corkickle tunnel. Meanwhile youngsters & parents get a close-up view of the restored loco. 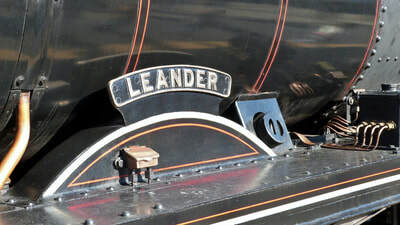 LEANDER provides the power on the circular route from its base in Carnforth. 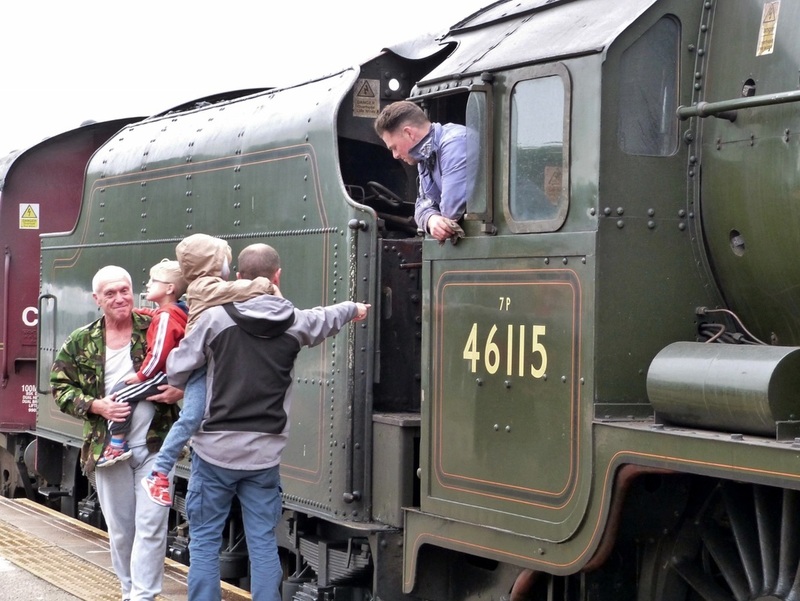 ​The loco last visited in September 2017 (see item below) and remains a popular attraction for enthusiasts young & old. 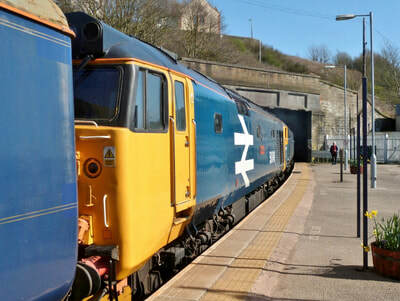 ​​​The loco is seen at Whitehaven Station on the return leg of the Cumbrian Coast Express from London Euston to Carlisle. There's a brief halt while the crew obtain permission to enter the single-tracked Corcickle tunnel. 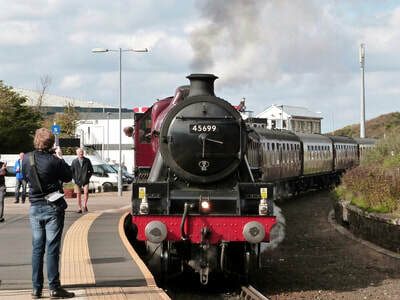 ​The 3min halt is popular with enthusiasts to take their close-up photos. 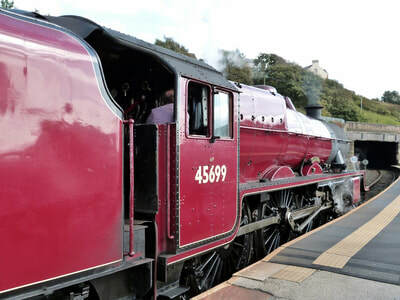 LEANDER continued in charge as far as Carnforth where a diesel-electric was swapped for the onward journey to Euston. 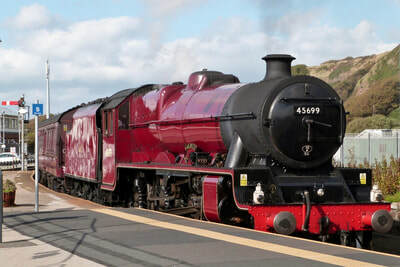 ​The loco which was built in Crewe in 1936 was withdrawn from service in 1964. Like many others it was moved to Woodham Bros scrapyard in Barry from where it was rescued in 1972 for restoration. 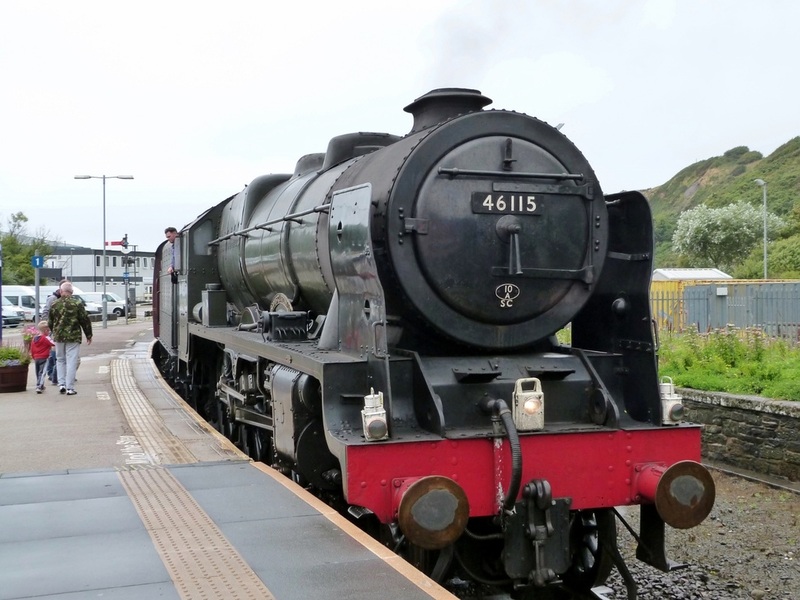 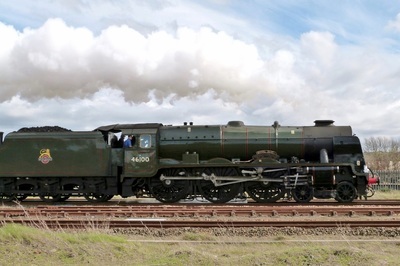 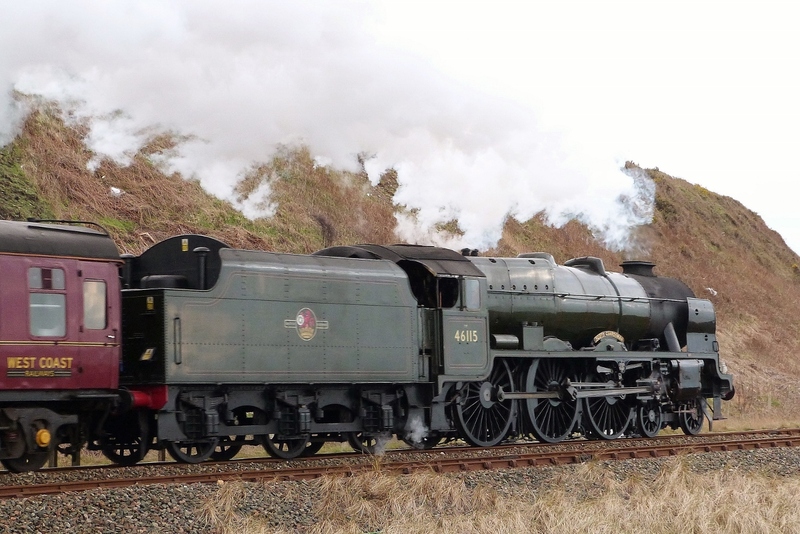 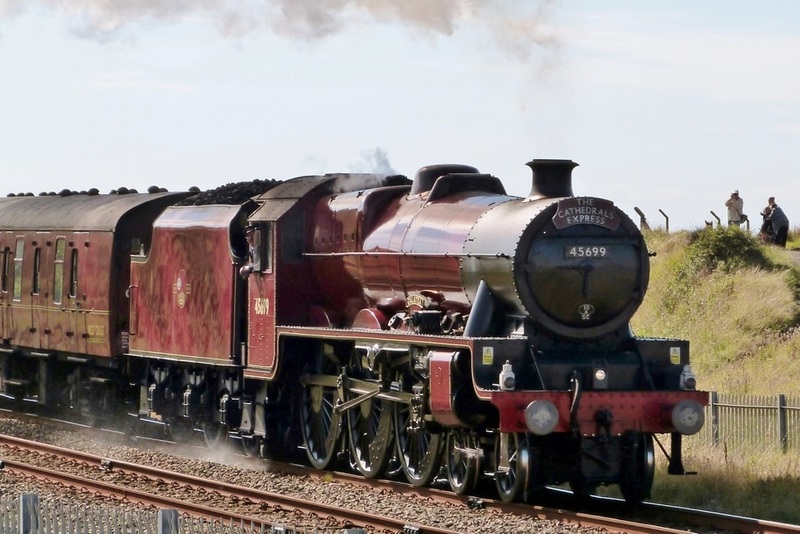 ​The Carnforth based 'LMS Royal Scot Class' loco is a regular sight on the West Cumbrian Coast line. Here seen hauling a Euston-Carlisle excursion southbound at Maryport Station. ​Whilst repairs to the Settle to Carlisle route are ongoing, the coastal route has been used in conjunction with the mainline over Shap for an interesting alternative. 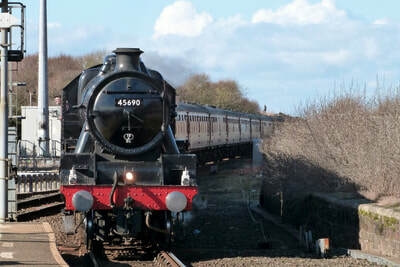 ​'The Winter Cumbrian Coast Express' heading south at Bessemer Way Bridge. 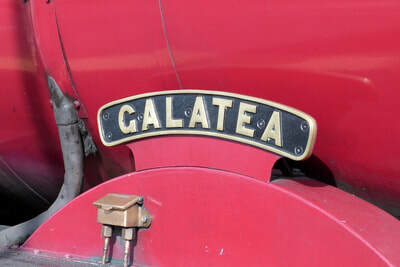 'GALATEA' was a late replacement for 'SCOTS GUARDSMAN' which was declared unfit. 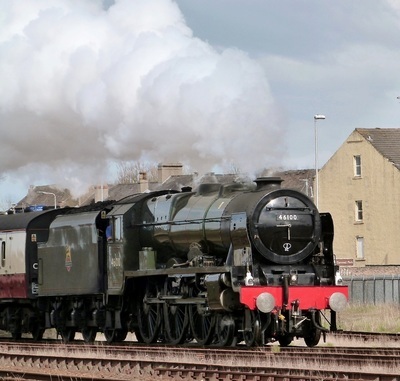 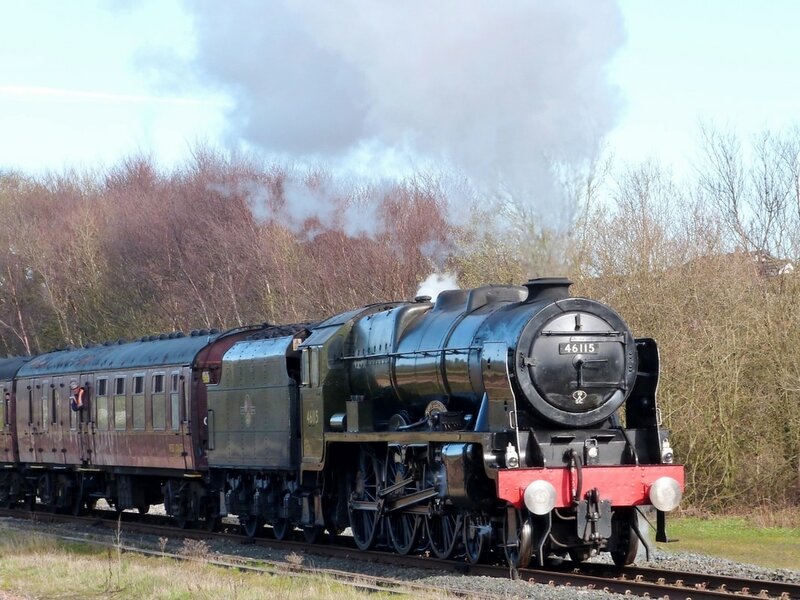 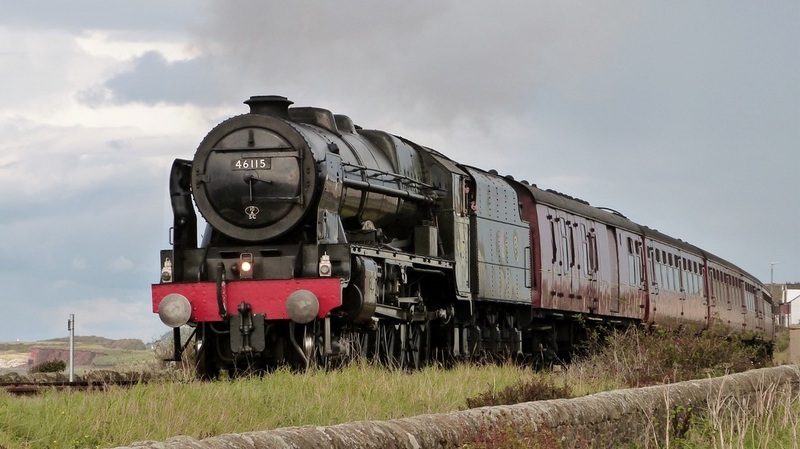 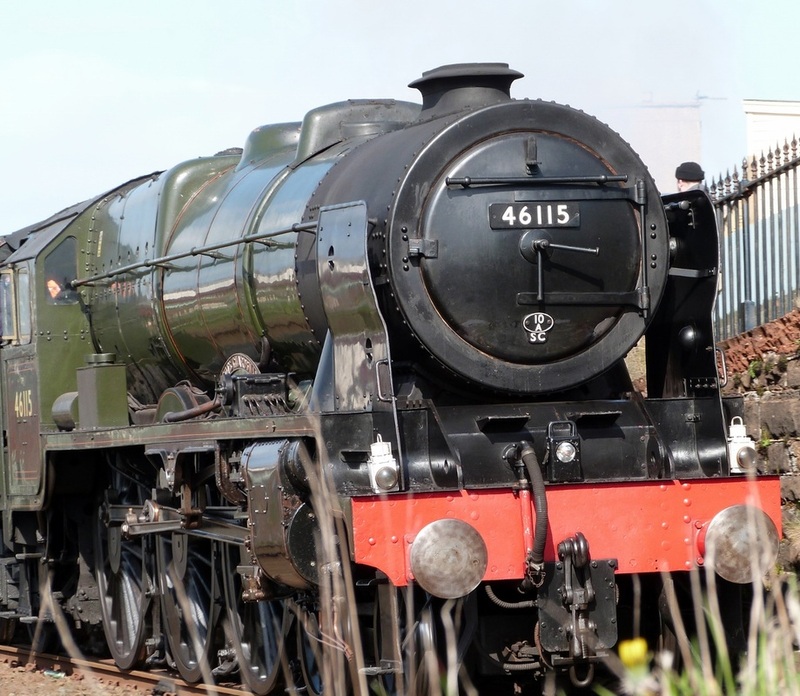 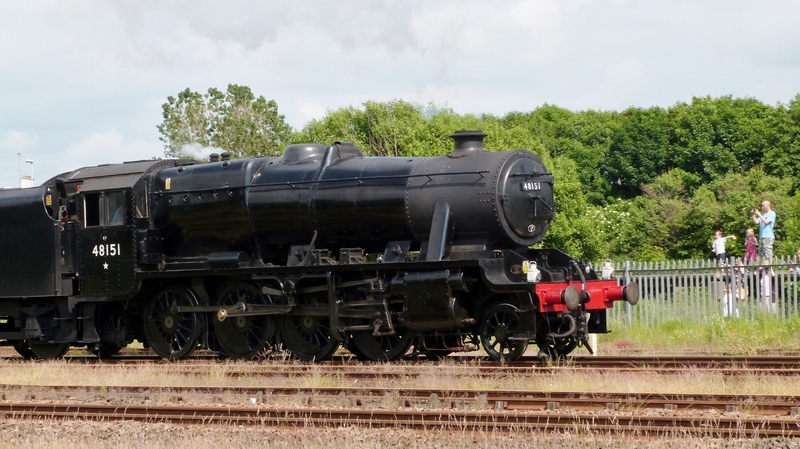 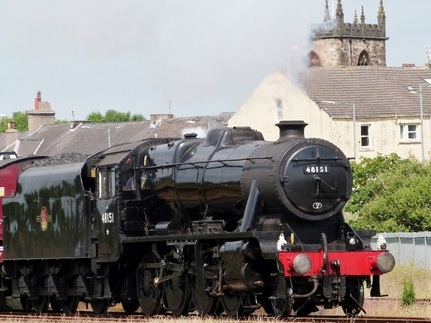 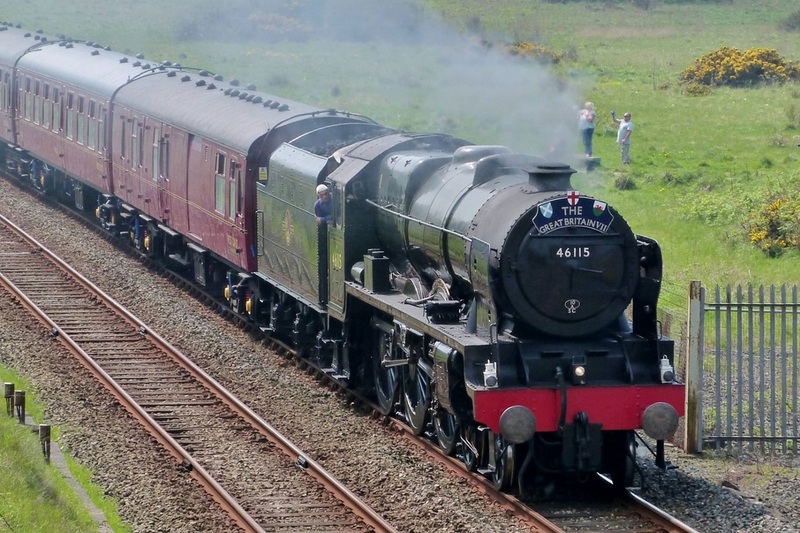 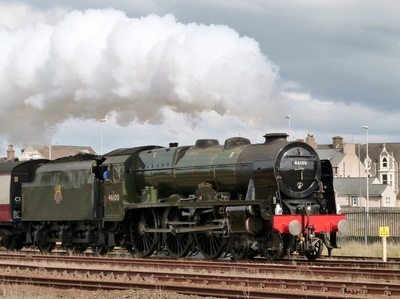 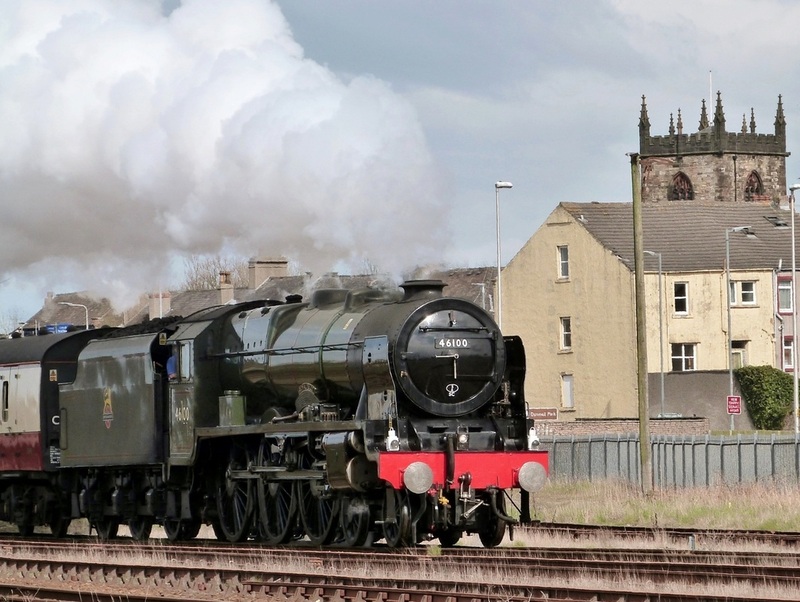 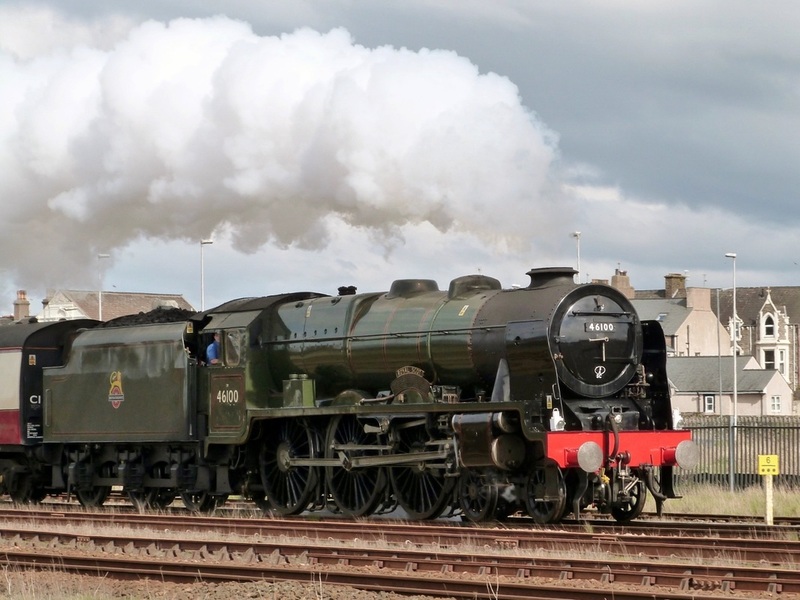 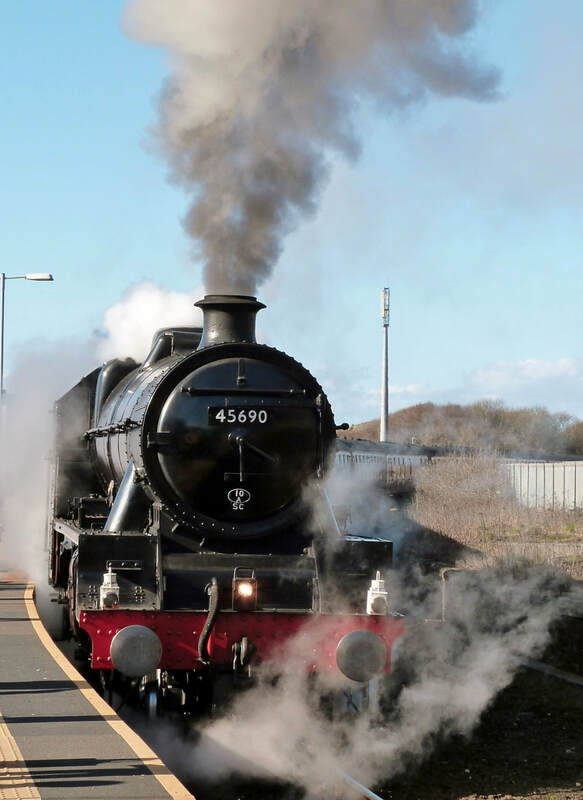 ​The London to Carlisle tour is steam-powered between Carnforth & Carlisle in both directions. 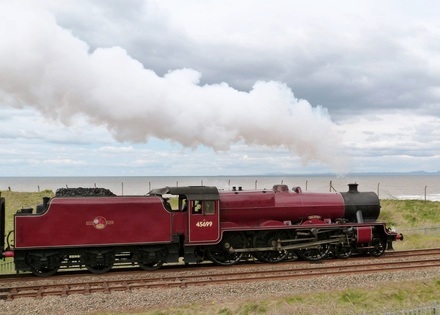 There's an excellent video of 'GALATEA' powering up Shap Fell earlier the same day. The' ​Cathedrals Express' heading south between Maryport & Workington. ​It was hoped there would be one more steam excursion for the Cumbrian Coast line before the end of 2016 but it was rerouted via Shap at the last minute. 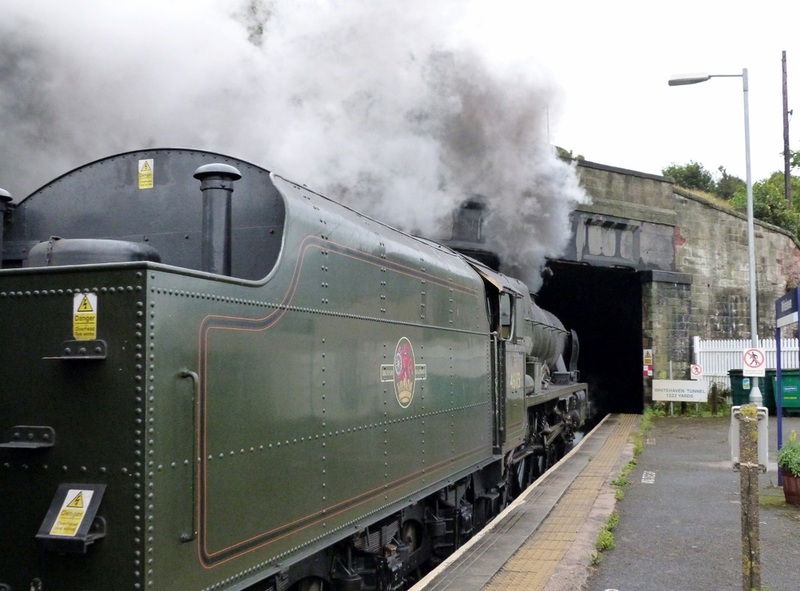 The '​Cumbrian Mountain Express' halts at Whitehaven while permission is gained to enter Bransty tunnel on its journey south from Carlisle to Carnforth . 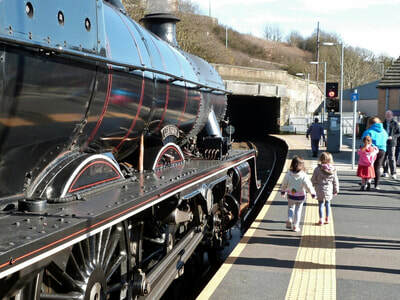 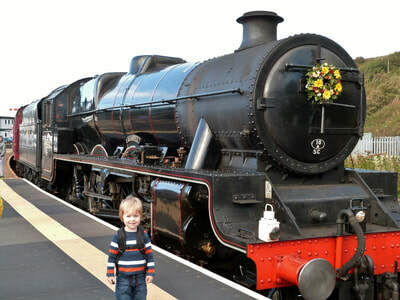 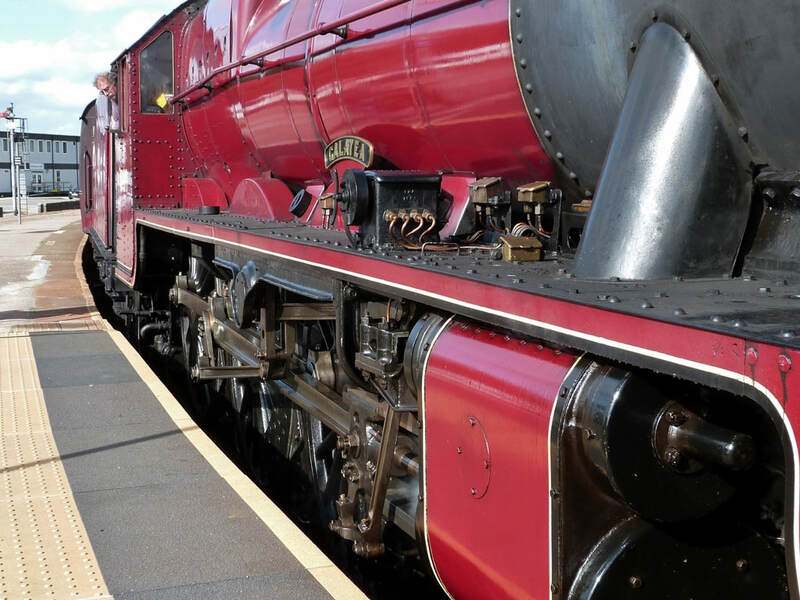 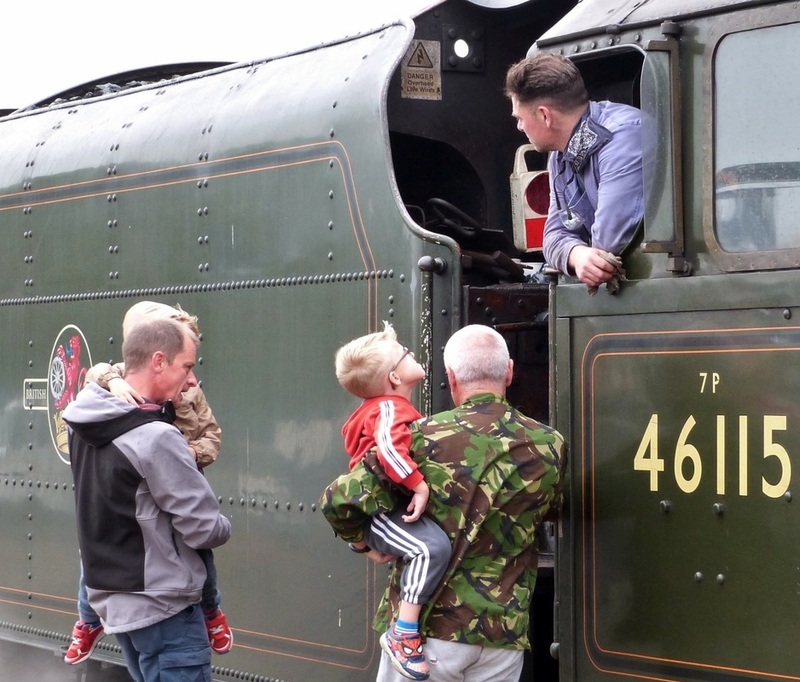 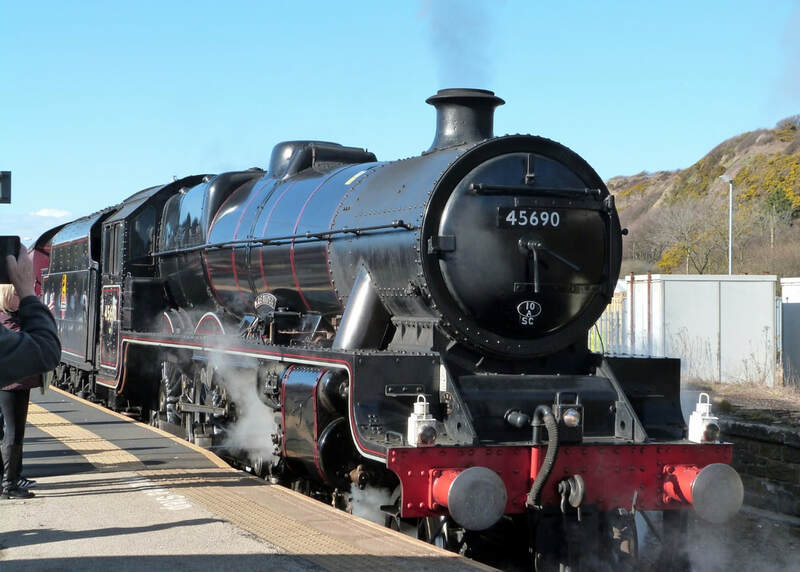 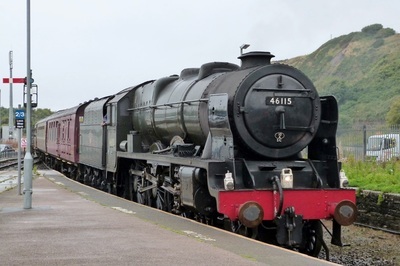 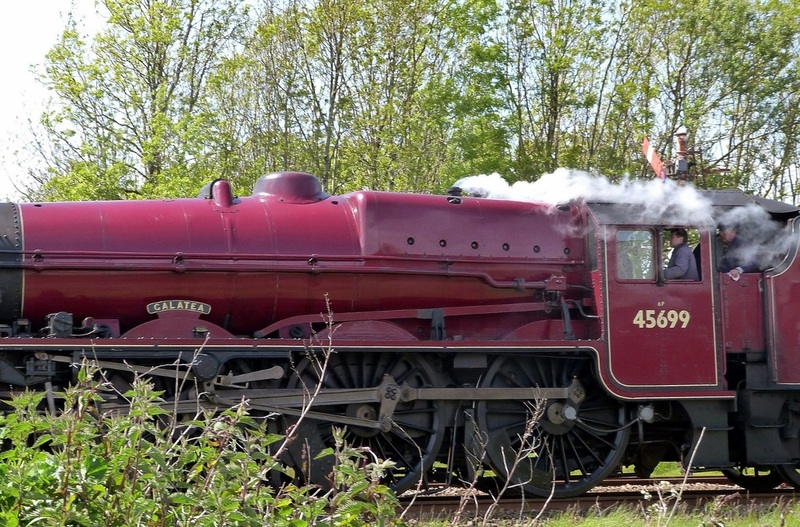 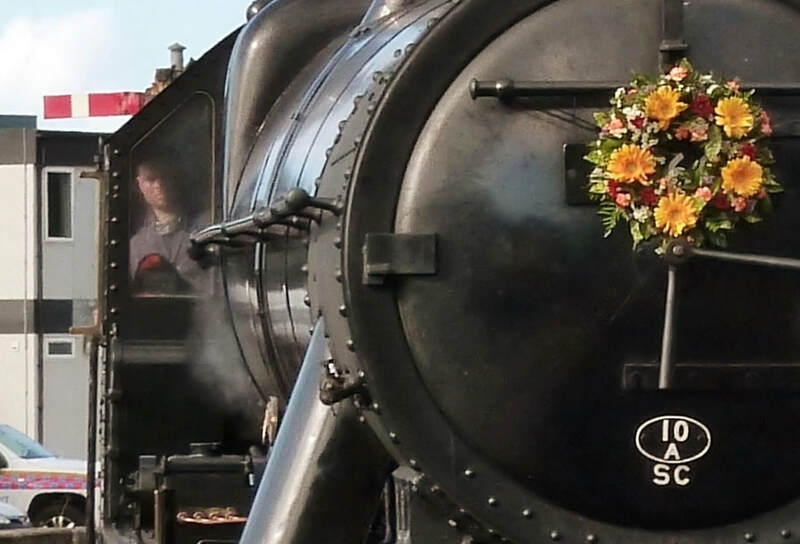 ​It's an ideal opportunity for enthusiasts both young & old to get up close to a live steam locomotive. 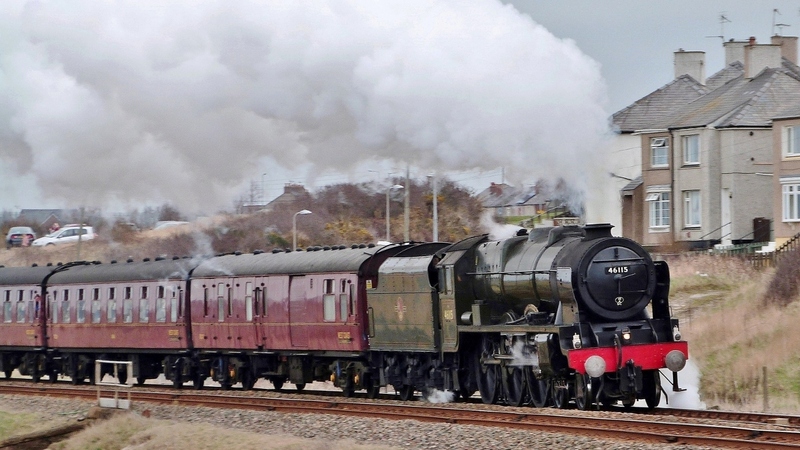 ​Northbound on the Cumbrian section of 'The Great Britain V11' tour passing Shore Rd, Workington. 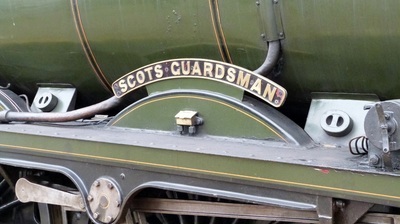 Galatea was a replacement for the planned allocation of the Scots Guardsman. 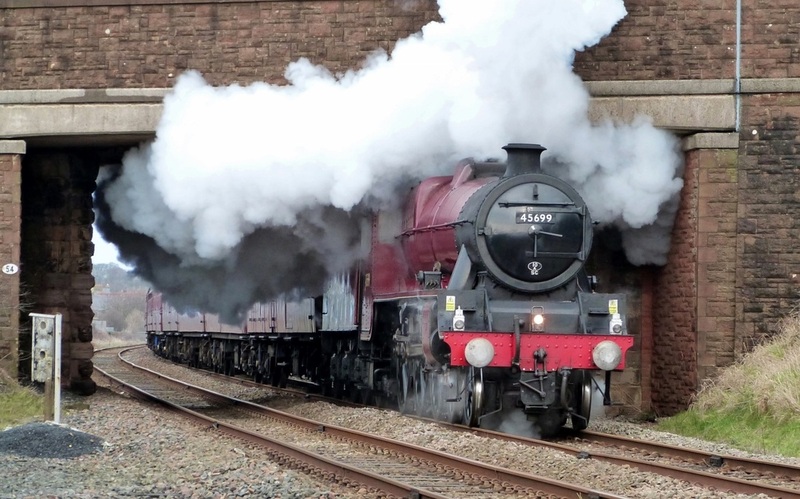 ​​The 'Scot Commemorative' tour passing under Grasslot Bridge en route from Crewe to Carlisle. 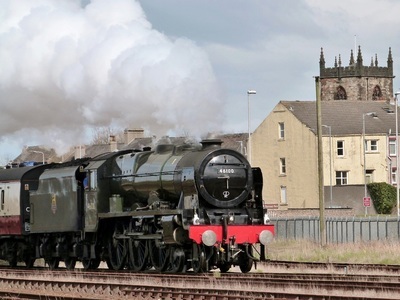 Powering away from Workington on the southbound ​'Cumbrian Coast Express'. 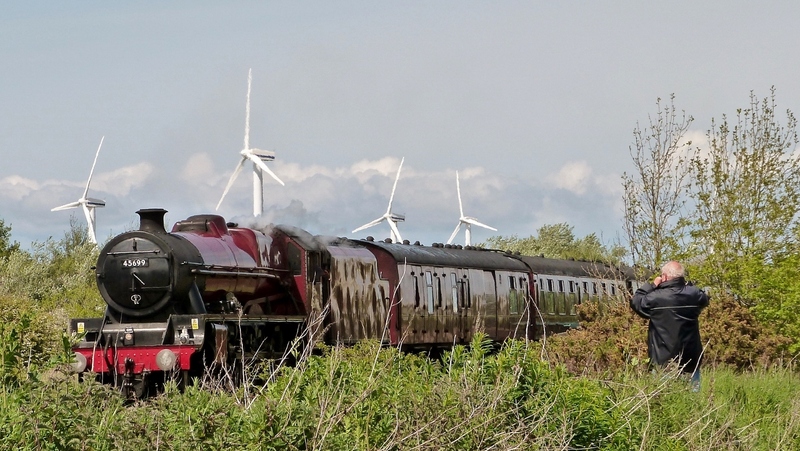 Heading south on the '​Pendle Dalesman' at Glasson Bridge. 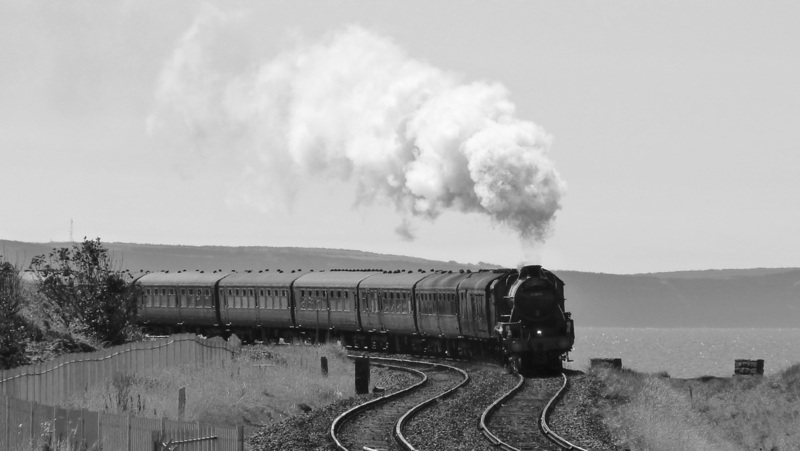 Lighting conditions were ideal for some dramatic shots. 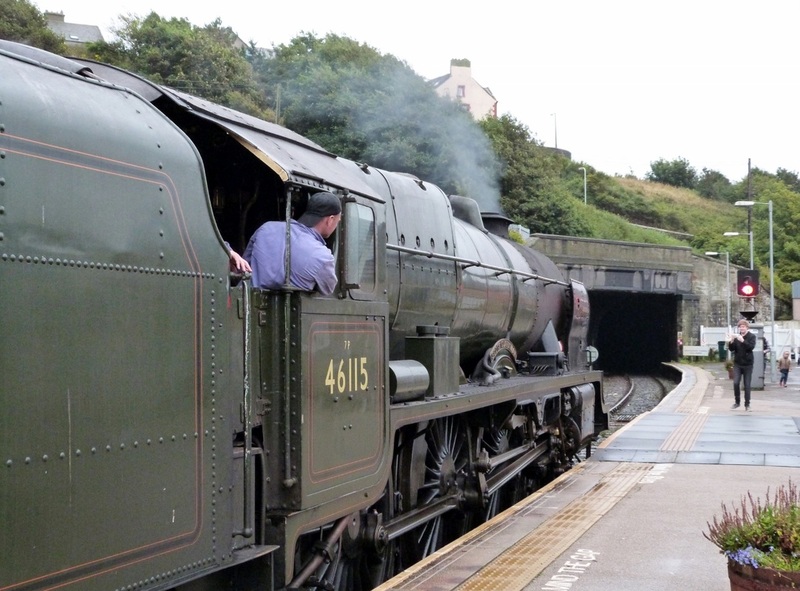 ​Passing Derwent Park, the home of Workington Town Rugby League, with the southbound 'Cumbrian Coast Express'. Galatea looks in immaculate condition in the Spring afternoon sunshine. 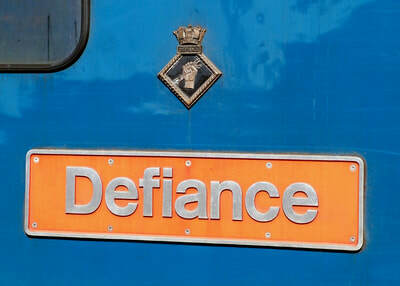 Built in Crewe in 1936, it saw service from several depots in the midlands, the final allocation being to Shrewsbury. 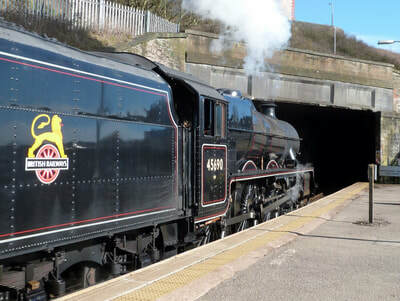 ​In 1953 it survived being derailed whilst hauling a passenger train near Tamworth, Staffordshire. 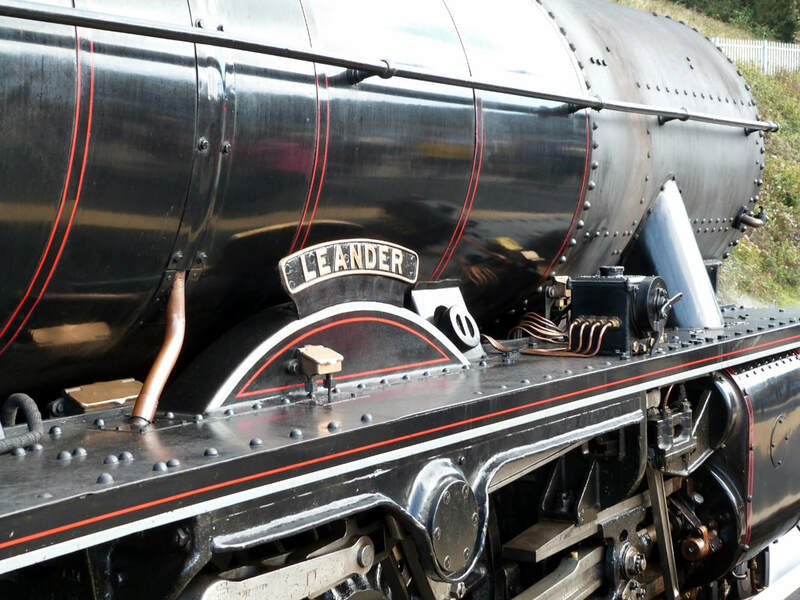 Despite the locomotive ending up on its side, only two people were reported injured and the locomotive was hardly damaged. 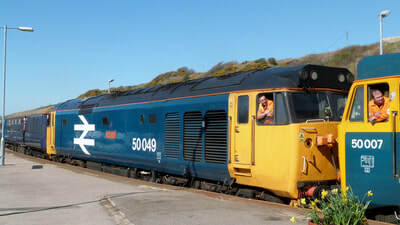 It was withdrawn from service in 1964 & moved to Barry Scrapyard. 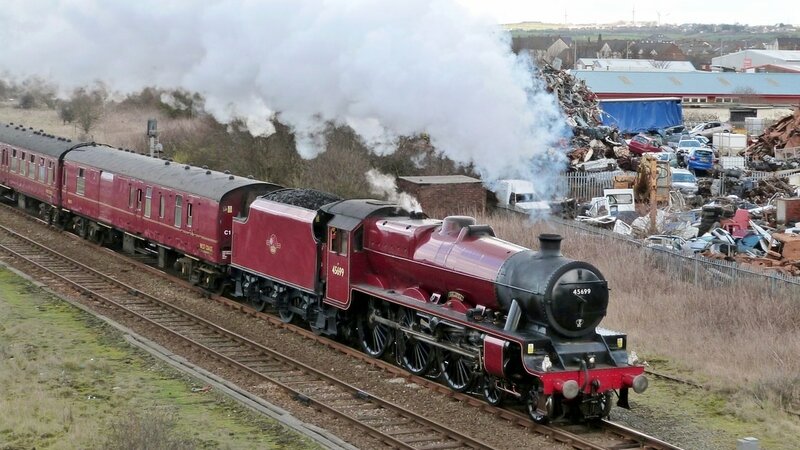 ​Photos show it to be in a sorry state while in storage at Barry. 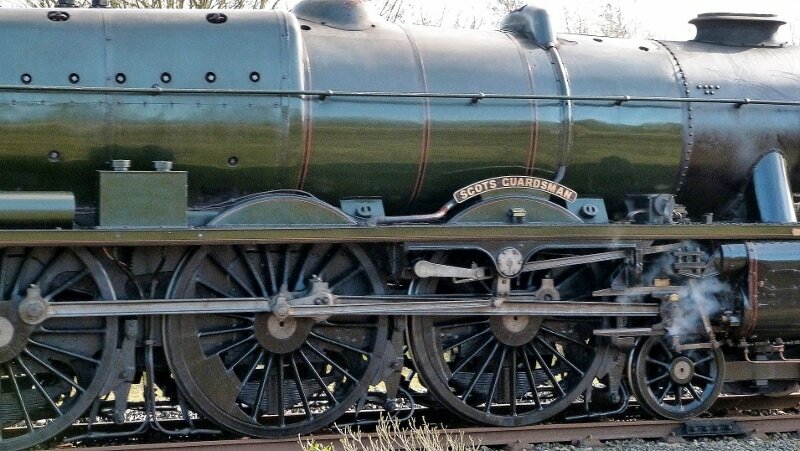 In addition to general deterioration & suffering the removal of various fittings, the centre driving wheels had been 'gas axed' & it was considered unrestorable by many. ​​It was initially rescued by 'Severn Valley Railway' in 1980 who intended to use it for spares. 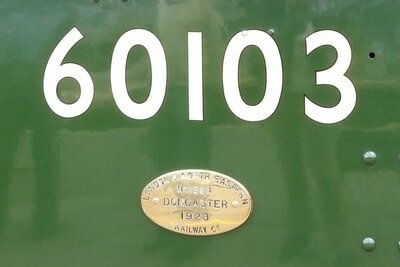 However, it was sold to the 'West Coast Railway Company' in 2002 where it received a complete rebuild. 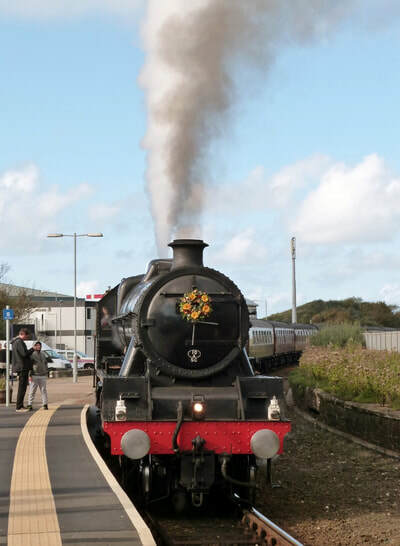 It was first seen back in service in 2013 & has been active on excursions ever since. 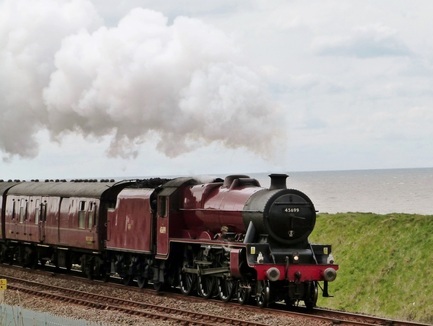 The 'Cumbrian Coast Express' southbound at Shore Road, Harrington, south of Workington. 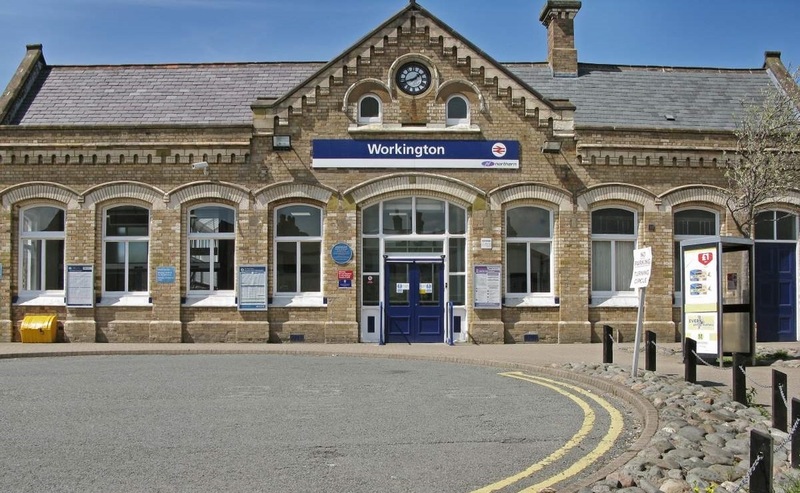 From here the industrial landscape is exchanged for more interesting views of the Cumbrian coastline and western Lakeland fells. Heading south​ through Workington on The Railway Touring Company's "Cumbrian Coast Express". On this return leg to Carnforth, the 8F will be replaced by diesel/electric for the onward journey to Euston. 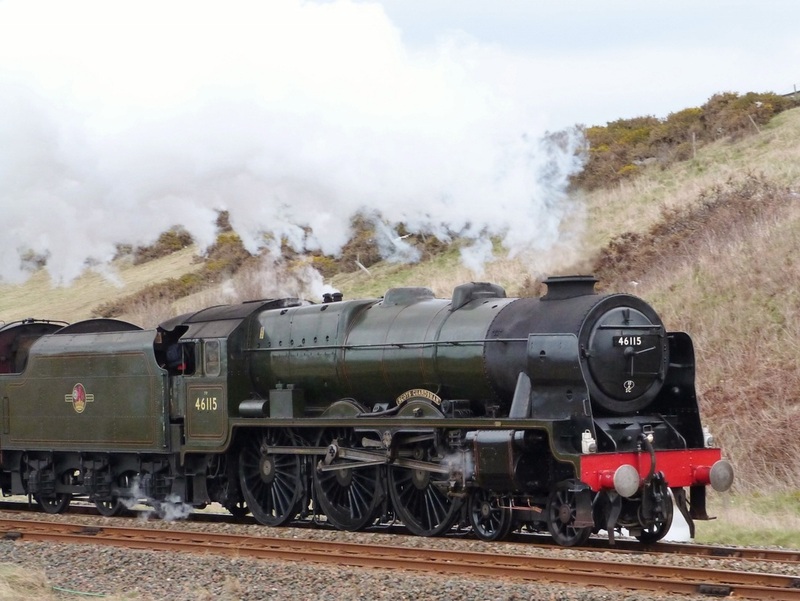 The outward journey north over Shap was only the second time in 10 years the locomotive had worked the summit en route to Carlisle. 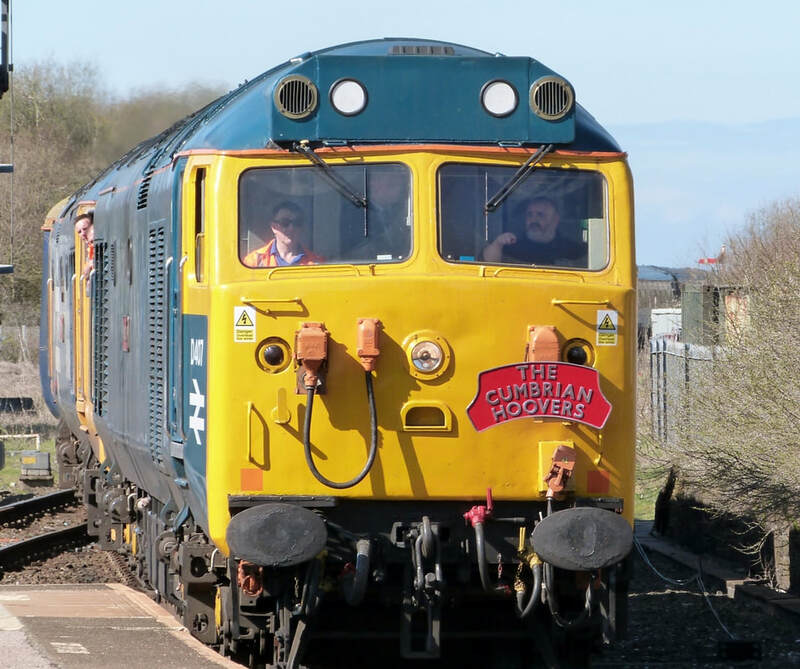 ​Built in Crewe in 1942, the heavy freight loco was allocated to depots in Scotland & the north of England before being withdrawn from service in 1968. 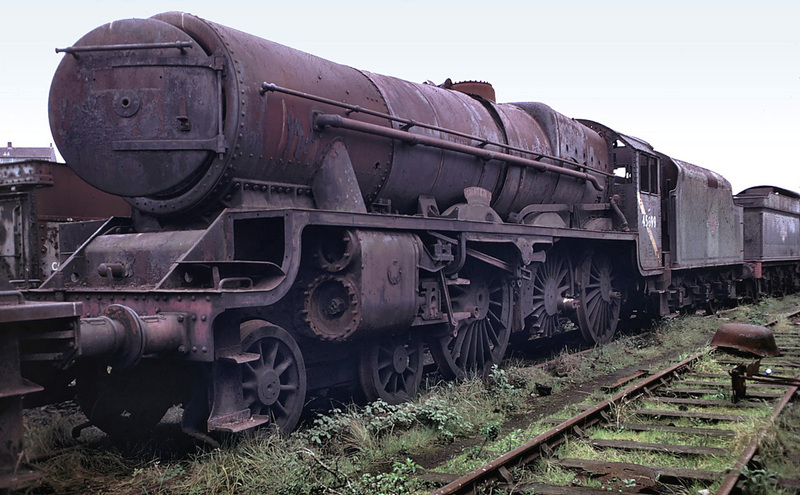 ​She then spent 7 years in the scrapyard of 'Woodham Bros', Barry before being bought for preservation. After changes of ownership she is now operated by 'West Coast Railways' from their base in Carnforth. 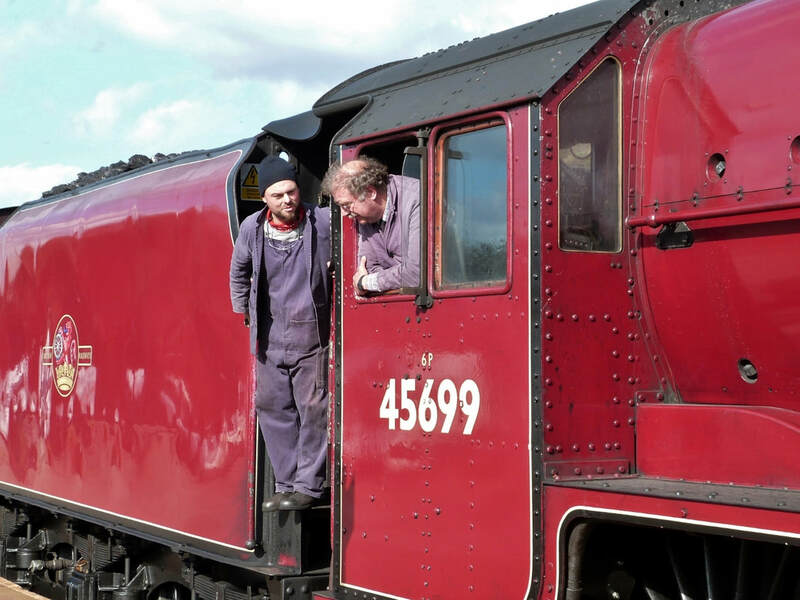 ​The part played by Dai Woodham of the ​'Woodham Bros' Barry Scrapyard in the preservation of so many steam locomotives is an interesting story. 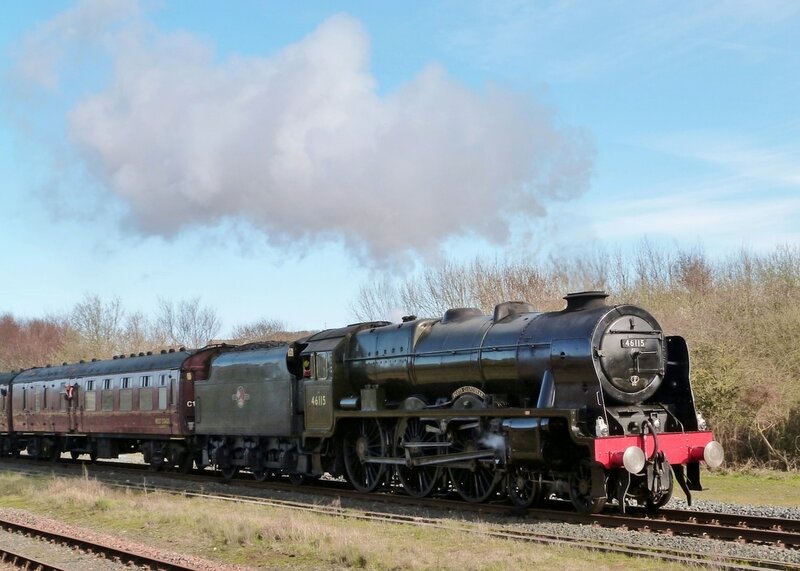 ​Woodham's won the private scrapyard tender to receive condemned locomotives which had begun to clog up BR's works & sidings during the 1950's Railways Modernisation Plan. 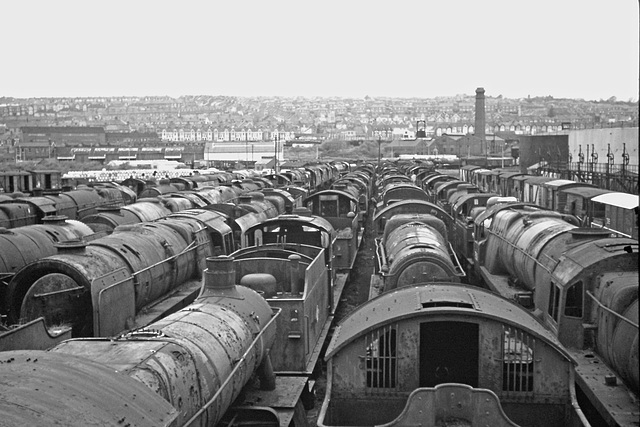 By a stroke of luck Woodham's were so busy with their regular work cutting up obsolete freight wagons the locomotives were put to the back of the queue. 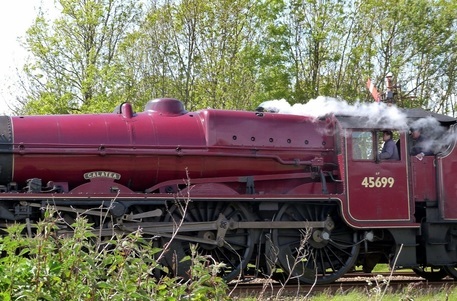 In addition, the yard wasn't familiar with cutting up locomotives, to the extent that Dai Woodham spent time at Swindon Works learning the techniques. 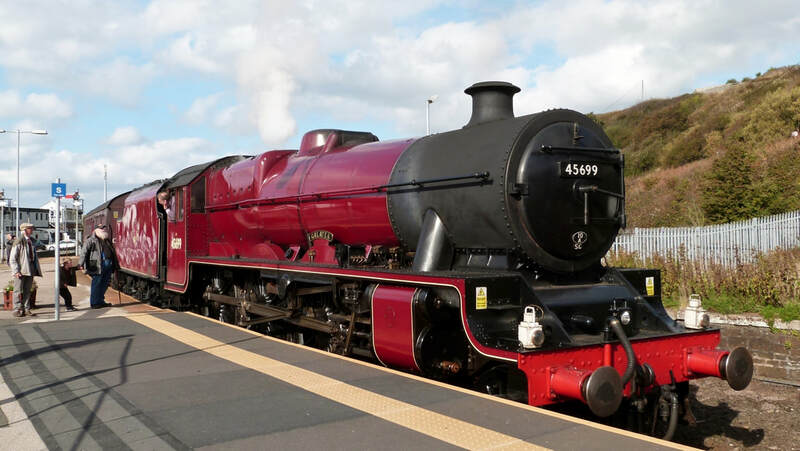 ​With almost 300 locomotives stored at the Barry yard, the rescue by preservation societies began. Purchases were made at prices equivalent to the scrap value, & Woodham's generously allowed the locos to remain in the yard while the preservationists worked on their acquisitions. 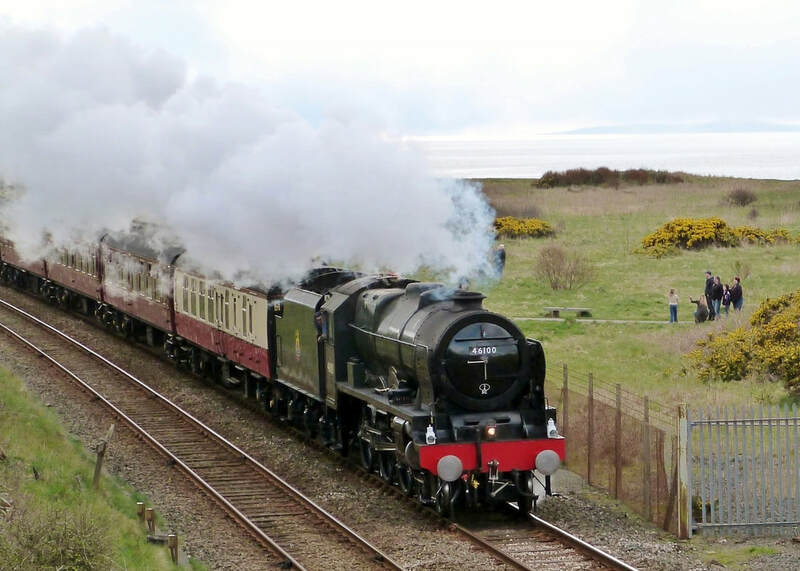 Northbound on the Cumbrian section of 'The Great Britain V11' tour approaching Maryport at Glasson Bridge. ​'The Great Britain V11' tour is an exclusively steam-hauled 9day tour organised by 'The Railway Touring Co' which features locomotives from all regions of the network. 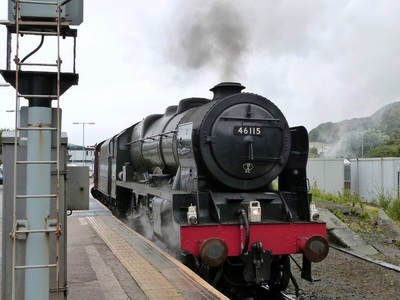 ​Cumbrian leg of the Grange-over-Sands to Edinburgh journey. 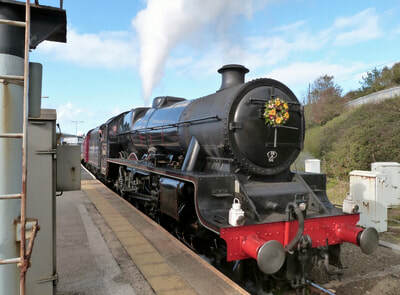 Heading the 'Cumbrian Coast Express' southbound at Quay St Bridge, Harrington, south of Workington. 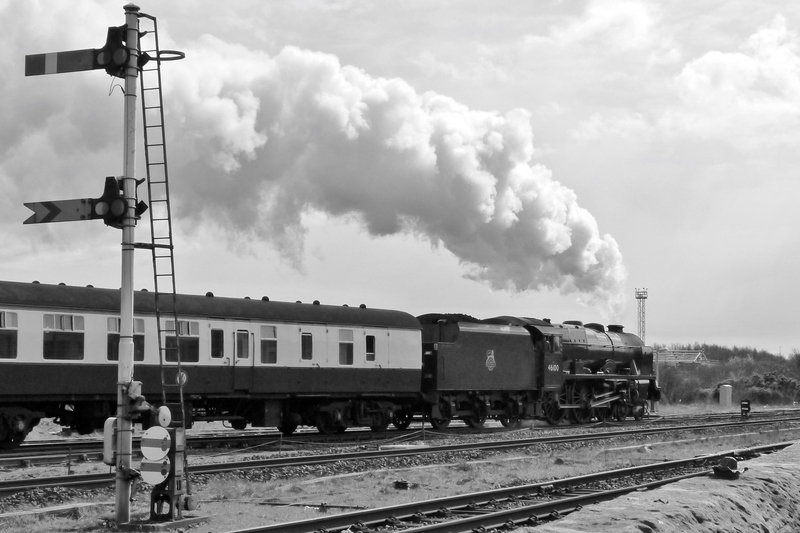 1936 film 'Night Mail'. ​The historic engine is one of only two preserved, the other being the 'Royal Scot'. 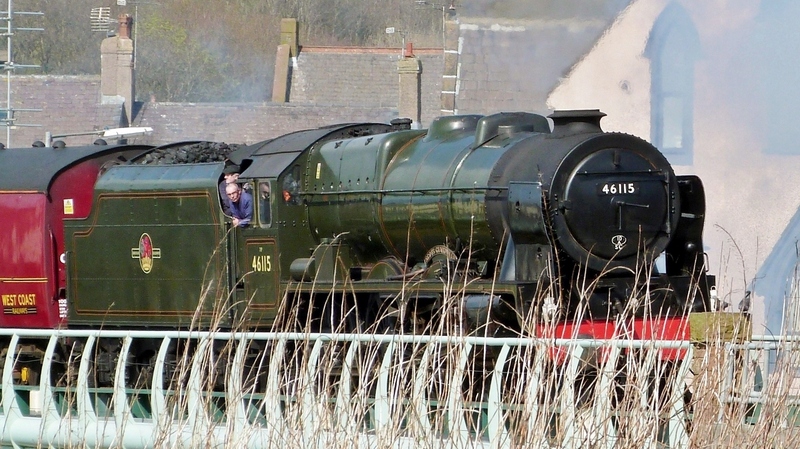 It was the last of its class to be withdrawn in January 1966. 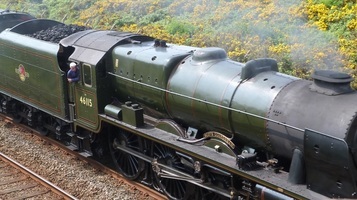 The locomotive was purchased by the West Coast Railway Company, & by 2008 was restored to main-line running standard appearing on excursions in its new BR Brunswick Green livery from its Carnforth base.